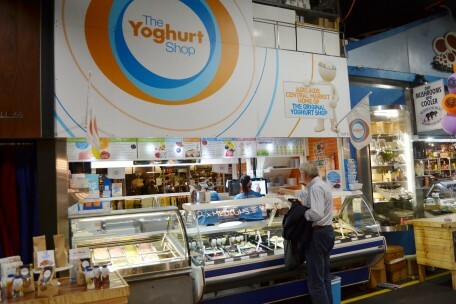 The Yoghurt Shop - Adelaide Central Market: The City of Adelaide's premier food destination. Over 70 traders under one roof. The Central Market Yoghurt Shop is the original shop which has now grown to 10 shops South Australia wide. Our Greek yoghurt is made through a traditional method handed down over three generations. It has a full bodied taste without all the bad things added. Combine our yoghurt with a generous helping of our fruit purees or try a little of our addictive chocolate toppings. Taste the difference of our delicious yoghurts for yourself!